no bake mix. just add 1/2 a cup cold water (can substitute juice for water)make balls, refrigerate and serve. delicious and fun dessert to make. parve. 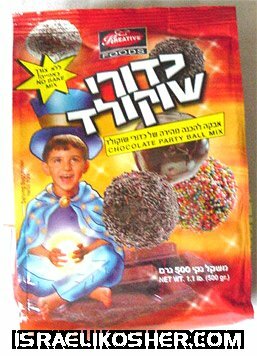 party ball mix is good to let children make(arts and crafts) then they will love to eat them, because they made them. comes with multi colored sprinkels. made in israel. 500 grams size.